These co-located conferences will provide an unparalleled networking opportunity for Data Management, BI and Analytics Professionals from across Europe and beyond. Whether you are just starting your journey, you are an experienced practitioner or you would like to understand the role of Business Intelligence, Analytics and Enterprise Data further, this conference is for you. Four Conference Tracks with More Than 50 Sessions with a Focus on Case Studies. Learn from other organisations past successes and challenges. Case studies and contributors include Volkswagen Financial Services, Direct Line Group, Rabobank, Southern Water, The International Criminal Court, The Environment Agency, The Pensions Regulator, Defence Infrastructure Organisation, Bosch, Goodyear, Lidl, IBM, Hitachi Vantara, SAP, Nordea, Talenom, Catawiki, LiveWest, Cerveceria Regional, ITV and comparethemarket.com and more …. Twelve Half Day Pre-Conference Workshops. Choose from an unparalleled range of workshops on specific topics to get you quickly up-to-speed or fine tune your performance on BI, Analytics and Enterprise Data. Choose from introductory or advanced levels. Three Full Day Post Conference Workshops. Enhance your in-depth knowledge and skills on Enterprise Data Management and BI & Analytics practice. Attendee Satisfaction. Of those that replied 99% of the 2016 & 2017 attendees said that they would recommend attending this conference to a colleague. Plenary Keynote: Ethics Schmethics: Hype or Hope? Digital players like Amazon, Uber and Netflix are using data science and machine learning at a large scale to drive business value in all of their core business processes. Many large organisations in more traditional industries have also invested heavily in data science, big data, data governance and business intelligence over the past few years and often struggle to scale their successful machine learning projects beyond a small pilot scope. In other words, algorithms stay in the lab and are not put into the heart of the enterprise. 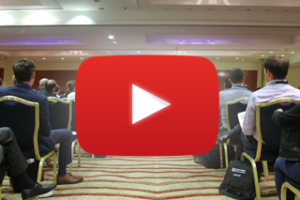 This keynote presentation highlights experiences and strategies in maturing a data lab into a global data factory organisation that can ensure that the promised value of data science and machine learning is truly realised. It also discusses the organisational implications for business intelligence, data management and data architecture and the role of cloud driven technologies in the required transformation to get your company ready for the age of artificial intelligence. Digitalization in manufacturing promises a large potential for cost savings, but is faced with a number of challenges, e.g. cost pressure, complex value chain networks, and legacy systems. To introduce data management to this environment requires a step-by-step approach yielding benefits all along the way. We propose a data process life-cycle that allows us to incrementally improve, exploratively analyze, and finally standardize data. Allowing for both limited and full data management in the same framework, while giving a path from one to the other. The application of BI and analytics can often be in a specific function, such as sales, marketing, HR or Finance. However, there is a growing awareness that these techniques can be applied to any part of an organisation to drive change and release value. This presentation will explain how the use of BI and analytics can be applied to a range of activities and a centralised team can deploy their skills and experience from one functional activity to another, thereby broadening the capabilities of that team and achieving significant benefits for the organisation. You will not have failed to notice the rise of Artificial Intelligence after a long winter into a sunny spring. It is now time to find out what the areas of BI and AI have to offer each other. In this session, because AI is being used more and more recently, Jan Veldsink will pay attention to what AI has to deliver organizations in a BI context. AI currently focuses on Deep Learning, a layered variant of Machine Learning based on Neural Networks. By training a network with examples it forms a competence, usually classifying, for example, images or events. Requirements are set for the training examples and we will see how BI can play a role in making suitable training materials. Or you can be assisted as a Data Scientist by an already trained AI! We will see several examples of AI-based systems that can take over part of the work of Data Scientists. And for the real connoisseur there is the possibility to train an AI with own examples and then have them do part of the BI work. Typical examples of this are anomaly detection in fraud investigation and determining when machinery maintenance should take place. We will see various platforms that make it possible. In this session, Naser shares his experience working in the IoT and AI space; covering complexities, pitfalls, and opportunities to explain why innovation isn’t just good for business — it’s a societal imperative. Deeper understanding of what Big Data, IOT, and AI mean at a functional level, not just what brands the buzzwords refer to. Detailed understanding of some use-cases, and why solving these is more complex than it seems. Not just what it’s for, but who it is for, and how to think about the “business case” or social imperative around it. Dr. Alexander Borek is a data analytics executive, evangelist and thought leader. In his current role, he serves as the Global Head of Data & Analytics at Volkswagen Financial Services, which provides the financial products for the Automotive Brands of the Volkswagen Group. He runs an international operative unit consisting of data scientists, data engineers, product managers and UX experts to develop and operate high-end data analytics products. Before, he led the data analytics transformation at Volkswagen Group and worked as a consultant at Gartner and IBM, where he had advised Global Fortune 500 executives in multiple industries. Dr. Borek is the author of the books “Total Information Risk Management” and “Marketing with Smart Machines“. He holds a PhD from the Institute for Manufacturing at the University of Cambridge. Phil is Head of Data Governance at The Pensions Regulator and is responsible for rolling out the Regulators Governance Framework. That employers put their staff into a pension scheme and pay money into it. That workplace pension schemes are run properly so that people can save safely for their later years. Phil has held and number of senior positions within national and local government and the Pensions Regulator. In recent years his roles have been heavily focused on data led transformation to deliver improved business outcomes and drive customer service. He has led analytical teams in highly pressurised environments; acting as the bridge between data, technology and the business. Having spent much of his career being frustrated by the lack of good quality data, Phil is now focussed on doing something about it. Ian Wallis is Head of Data, Analytics & Insight (DA&I) at the Defence Infrastructure Organisation (DIO). DA&I’s role is to transform DIO into a data-driven, evidence-based organisation to support efficient use of £3.5bn of annual spending to enable the armed forces to live, work and train. Ian’s remit encompasses data management, business intelligence, MI and reporting, analytics and insight. Ian has nearly thirty years’ experience in this field and has managed programmes in blue chip organisations, including data warehouse projects at organisations including Centrica and BBC. He has led analytics teams at HSBC, Royal Mail and The Pensions Regulator and delivered data management programmes at Thomson Reuters, Barclays and Arqiva. Ian works for Aecom and is deployed through the Strategic Business Partner arrangement which has insourced private sector expertise to transform the DIO. Prior to this, Ian worked as an interim manager through his own company, Data Strategists. Every time radio and TV hosts interviewed Lori about her book, Stories Trainers Tell, they’d ask: “Can story be used for more than training?” Her search for successful applications of story use in business functions such as strategy, project management, and finance are in the book, Wake Me Up When the Data Is Over. When the Dummies series called, she and Karen Dietz, PhD churned out her third bestseller, Business Storytelling for Dummies. One chapter grew into a unique framework for finding actionable insights in data and storifying them, catapulting Lori as a leader in data storytelling. As the owner of Partners for Progress®, Lori helps firms strategize about their future and navigate through messy, complex changes. Since 1991, she’s worked across 20 industries with organizations like McDonalds, Chevron, Bechtel, Valmet, Wells Fargo, IAIDQ, Phillips North America, Target, and the U.S. Air Force. As a keynote speaker, Lori has inspired thousands of participants to take action. She’s an adjunct professor in the Industrial and Organizational Psychology Master’s program at Golden Gate University in San Francisco, and has also authored two books in the quality management field. Amy is Head of Data Exploitation at Southern Water having previously worked in Retail, Banking, the Public Sector and Consultancy leading work on data warehousing, master data management and analytics over a range of technology platforms. Her current responsibilities include analytic and data science functions at Southern Water. In 2015 she worked with Dr S Wakeling, Dr P Clough (both of Sheffield University) and J Wyper on original research into Graph Literacy and Business Intelligence which was published by TDWI. Santanu Dawn is a Supply Chain professional currently focused on Business Intelligence and Master data in process industries. As BI and Master Data Leader EMEA; presently Mr. Dawn is leading an initiative to envision and implement Enterprise Information Management for Goodyear Dunlop Europe which includes governance risk and compliance. Prior to Goodyear Dunlop Europe, he held Supply Chain positions at process-based Fortune 500 Organizations, including Johnson & Johnson, T-Systems, Indian Oil Corporation and Tata Steel. Mr. Dawn received his Master’s degree from Symbiosis, India. Andrey Sharapov is a data scientist and data engineer at Lidl. He is currently working on various projects related to machine learning and data product development. Previously, he spent 2 years at Xaxis where he helped to develop a campaign optimization tool for GroupM agencies, then at TeamViewer, where he led data science initiatives and developed a tools for customer analytics. Andrey is interested in “explainable AI” and is passionate about making machine learning accessible to general public. Dr. Lukose is currently the Information Management Officer at the International Criminal Court in The Hague. He is responsible for the design, implementation and maintenance of integrated digital repositories for the Court. This responsibility involves the execution of the eCourt Strategy that covers both administrative and judicial areas of the Court. He is a Senior Information management practitioner with more than 20 years of national and international experience in developing and implementing information management strategies to achieve operational effectiveness and regulatory compliance by leveraging ICT. His expertise includes practical experience in implementing information governance and preservation processes and systems to modernise business processes and increase information transparency. "Thoroughly recommended, I would encourage all Information Management professionals to attend whether expert or novice. "The great strength of this conference is the number & variety of presentations/speakers. The big weakness of this conference is that I can't get to all the presentations I want to! "Excellent, would recommend to any IQ professional. Gets better every year. "Really worthwhile". Overall value of event - 9/10. "Great combination of tutorials, 1 hour sessions, vendor stands and networking. "Another great event, learnt new and interesting challenges. "Great way to learn best practices, gain new insights and get ideas for change in your own organisation. "Very informative, provided much 'food for thought'. "Good variety on offer and definitely enjoyed the talks and incorporation of real-world corporates and how they are addressing real-issues on the Big Data space. "My first event. Definitely back next year as it was very good. The quality of information was very high. Good speakers delivering good content. "Great conference, the best event in Data Management! Excellent speakers and very interesting content. "This event never fails to enable me to connect with people who I can learn from and who can re-energise me in Data Management. "Great opportunity to validate my views and to learn from others. "Good diversity of topics - good quality of speakers - experts in the field. Information was at the right level - at a level that was useful! Great wide spectrum of speakers - very knowledgeable on their subject area. "A packed 3 days, full of learning both from the experiences of others, & from questions posed in the sessions. "Extremely well organized, lectures were thought provoking. Many ideas I will take back to my organization. A lot more I now want to read about. I will recommend this conference to more business units next year. Thoroughly enjoyed it! "A very enjoyable and useful event. This is the first conference I have attended but I would certainly like to attend further conferences. The venue and staff were excellent and it was very well organised. "This conference has breadth and depth of what you need to know about the latest trends in data management, BI, Info Quality. Would certainly recommend others to attend. "A great event – a variety of sessions ranging across industry thought leaders to interesting case studies. Recommended to Information Management Professionals. "ED&BI is the most beneficial conference I’ve attended in the past 5 years – specifically in terms of breadth of topics, content and speakers. Excellent organisation throughout. Principal, MMM Data Perspectives Ltd.
"Enjoyable event with relevant information helping to keep industry workers up to date. "The conference continues to provide a comfortable and effective platform where we can learn new things, be reminded and refreshed in things we already knew and feel part of a data community which has similar challenges to ourselves. "I would attend this event over and over again. It's worth all the effort! I must commend the organiser for a well done job. So far, this event marks the best of conference experiences in the past 10 years. "Very good event, well organised and relevant particularly virtualisation, cloud and data strategy sessions. "Second time at this Conference, will be back but next time with my team! "Really great event with an interesting and useful mix of speakers and topics. "First time attending – really enjoyed. Will look to come back in the future. "The ultimate melting pot of ideas and best practices in Data Management." Luther Systems is working with multiple enterprises to streamline and improve the efficiency of connectivity, execution, verification, visibility and storage of enterprise process events and data. Our products address enterprise process and data legacy issues by providing easy to implement, secure, low cost and low risk software which complements existing Enterprise infrastructure. Luther’s products help enterprise systems work together to ensure they are fit for business in today and tomorrow’s world. ASG Technologies is an award-winning, industry-recognized and analyst-verified global software company providing the only integrated platform and flexible end-to-end solution for the information-powered enterprise. ASG’s Information Management solutions capture, manage, govern and enable companies to understand and support all types of information assets (structured and unstructured) and stay compliant. ASG’s IT Systems Management solutions ensure that the systems and infrastructure supporting that information lifecycle are always available and performing as expected. ASG has over 3,500 customers worldwide in top vertical markets including Financial Services, Healthcare, Insurance and Government. Visit us at ASG.com, LinkedIn, Twitter and Facebook. XLCubed’s products helps customers achieve more in all aspects of reporting and analytics. Power users have an enhanced, data-connected Excel environment giving greater flexibility in reporting and data visualisation.Users leverage existing skills, becoming highly productive quickly. XLCubed Web adds governance and scalability, enabling the sharing of Excel-developed, data-connected reports and dashboards with web and mobile users across an organisation. Kogan Page is the leading independent global publisher of business books and content with over 1000 titles in print. Founded in 1967, our award-winning work offers books and digital solutions for professional practice and academic achievement. Our author experts come from the most prestigious academic institutions, international commercial organizations and professional associations – they deliver high-level, accessible, professional content to our readers in our key subject areas: Business & Management, Risk, Compliance & CSR, Skills, Careers & Employability, Human Resources & Learning & Development, Marketing & Communications, Logistics, Supply Chain & Operations, Digital & Technology, Thought Leadership, Accounting, Finance & Banking. Visualisation is Knowledge….Using our in-house advanced Discovery & Architecture Generation Service and Analysis Software, CubeScape can analyse your complete SAP BI Landscape no matter how large or complex in just 3 – 4 weeks. We provide a comprehensive set of reports that analyse and document the status of your existing SAP BW platform in order for you to discover what you already have, and to assist you in making an informed decision of which BW to HANA migration path is best suited to your organisation. Our data analysis is supported by visually and information rich Architecture Diagrams for each of your MultiCubes highlighting obsolete queries, dataflows and data stores, helping clients typically achieve a 50% reduction in their existing BW Landscape. Data is increasingly becoming a crucial asset for organizations to survive in today’s fast moving business world. In addition, data becomes more valuable if enriched and/or fused with other data. Unfortunately, enterprise data is dispersed by most organizations over numerous systems all using different technologies. To bring all that data together is and has always been a major technological challenge. In addition, more and more data is available outside the traditional enterprise systems. It’s stored in spreadsheets, simple file systems, cloud applications, in weblogs, in social media systems, and so on. This is where data virtualization comes to the rescue. Data virtualization is a technology that makes a heterogeneous set of databases and files look like one integrated database. When used in business intelligence systems, it can make the architectures dramatically simpler, cheaper, and, most importantly, more agile. New reporting and analytical needs can be implemented faster and existing systems can be changed more easily. This half-day workshop explains in detail what data virtualization is, how the products work, advantages and disadvantages are discussed, products are compared, and focuses on aspects, such as query performance, caching, data security and data integration. Whether we work in business or IT, it sometimes feels like we are bombarded with advice about which tools or platforms to choose for data analytics. But business insights don’t arise from features and functions and choosing a good platform is only the start of your analytics journey. Too often we overlook the need for some basic principles – ways of thinking and evaluating data, technologies and organizational needs that act as landmarks on our path to a culture of analytics. For example, it’s critical to remember that the heart of business analytics is still decision-support – losing sight of that principle can waste a lot of time and money! What about the relationship between data preparation and data analysis? We need to keep in mind how closely entwined these techniques are, if we are to be effective in either. In addition to well-established practices, as new technologies emerge we need new, relevant, principles to guide us through machine learning and AI. In this course, Donald Farmer will set out 10 fundamental principles of modern data analytics—perceptive, provocative ideas about how data really works in our businesses. These principles provide valuable starting points for planning, evaluating, and promoting business intelligence projects. The significance of bias in machine learning, but also in everyday analytics. IT leaders investing in platforms, tools and training in analytics and machine learning. Jos van Dongen is a consultant, trainer, analyst and author. Jos has been involved in software development, business intelligence (BI) and data warehousing since 1991 and is the (co)author of three highly acclaimed BI books. He’s currently working as analytics advisor and technology evangelist at SAS Netherlands and speaks regularly about advances in data management, data science & data visualization at national and international conferences. In this half-day workshop, Equillian’s Jon Evans will seek to redress the balance, by taking the audience on a journey from first principles right through to advice on establishing a Data Quality Programme. Along the way, both beginners and those already familiar with the topic will benefit from a business-focused approach, based on industry best practice coupled with many years of experience helping organisations tackle their Data Quality challenges. Your organization is already doing “ethics” whether you explicitly consider it or not. The question is whether it is a “best efforts” production without the clear guidance of principles. Increasingly data ethics is becoming recognized as important not just as a “fuzzy” concept of corporate social responsibility but as both a commercial differentiator and as a real influence on our day to day experience and a key management risk. Have you taken the time to consider what it is you’re doing? Is your organization’s leadership setting the tone from the top? Do you have appropriate systems of management in place to support ethical decisions and actions? This course is designed for information management professionals and provides a detailed framework and practical tools and techniques for implementing an ethical information management strategy. The demand for lower latency streaming data is growing rapidly in many enterprises. This may be from data sources like financial markets, weather data, click stream data in web logs, or internet of things sensor data deployed in operational areas like manufacturing production line equipment and logistics. IoT data, in particular, is rapidly growing. The reason this data is needed is to provide near real-time insights into business operations to help organisations make informed decisions often on a near real-time basis. However, the problem with streaming data is that while many companies are capturing it, either on-premises or in the cloud, they are not doing much with it. One of the reasons for this is that traditional architectures are based on the assumption that data always needs to be processed and analysed in the data centre or the cloud and not in the edge. Also, tools to process and analyse this type of data are not in place. This session explores what is different about streaming data and analytics. It then looks at what’s needed to prepare and analyse it and at the option to analyse streaming data in the edge of the network closer to where the data is created. It considers what is needed to get ready for streaming data including edge analytics versus a streaming analytics platform and how this affects existing architectures, data preparation, model management and decision management. Finally, it looks at what you need to consider to integrate data-in-motion with enterprise data if you want to analyse data at the edge. Types of fast data and what is different about it? Processing options – prepare and analyse in the centre or at the edge or both? Do you need streaming analytics platform or something else? How will your architecture need to change to accommodate edge analytics? How do you ingest and analyse high velocity fast data at scale? How do you integrate fast data with enterprise data at rest if analysing at the edge versus the cloud or the data centre? Business intelligence has changed dramatically the last years. The time-to-market for new reports and analysis has to be shortened, new data sources have to be made available to business users more quickly, self-service BI and data science must be supported, more and more users want to work with zero-latency data, adoption of new technologies, such as Hadoop, Spark, and NoSQL, must be easy, and analysis of streaming data and big data is required. The classic data warehouse architecture has served many organizations well. But it’s not the right architecture for this new world of BI. It’s time for organizations to migrate gradually to a more flexible architecture: the logical data warehouse architecture. This architecture, introduced by Gartner, is based on a decoupling of reporting and analyses on the one hand, and data sources on the other hand. With the logical data warehouse architecture new data sources can hooked up to the data warehouse more quickly, self-service BI can be supported correctly, operational BI is easy to implement, the adoption of new technology is much easier, and processing of big data is not a technological revolution, but an evolution. And most importantly, the technology to create logical data warehouses is available: data virtualization servers. In this practical tutorial, the architecture is explained in detail. Tips and design guidelines are given to help make this migration as efficient as possible. Jan is a creative and energetic new thinker, with a passion for people and human processes. Jan is a Senior Advisor, Trainer and Coach specialising in Artificial Intelligence and Intuitive interventions in organizations. His mission is to contribute to a secure and endurable environment within teams and organizations. His expertise areas are Artificial Intelligence and Machine Learning, cyber security, systems thinking, organizational/group dynamics, serious gaming and innovations. What is an information catalogue? How does an information catalogue help govern a data lake? What’s the best way to communicate data to accelerate decision-making and action? Here’s a proven path: Reveal insights hidden in the data. Storify the insights that need to be given voice. And determine the best way to communicate those stories. What does this imply? You need to know how to shift conversations from questioning data, data integrity, data analyses, and data visualization to dialogue grounded in foresight, strategic thinking, and action. And you need to know how to craft compelling meaning-filled stories that don’t contain data. What???? No data??? This workshop demonstrates how to unlock value for you and your organization through becoming a data translator and teaching others how to do the same. Determine which questions to ask to move people from data to insight to action. Identify three types of insights and stories that may reside within a set of data. Outline compelling stories that move people to action. Every day organisations make business decisions assuming the information in their system is accurate, but for many it can be costly if the data is flawed, out-dated, unchecked or simply not accessible. In a market where everyone is striving for more insights through data, the accuracy and trust of your data can make the difference between competitive advantage and bad decisions. The industry has recognised the potential of information and we’ve witnessed an exponential growth in related tools, database solutions, BIG Data platforms, appliances, Data Refineries, Data Lakes, analytics, algorithms, … However, many companies are struggling to deploy these concepts in a sustainable and effective way. The number of data breaches and data related incidents are rising at the same, if not higher rate. For that reason, the approach this seminar takes is to embrace the innovation and disruptive ability of insight but to embed it in the organisation in a sustainable way. Do you recognise that information is a valuable asset, but do you struggle to deliver on that value? This seminar teaches you how you can turn your organisation around and make it information centric delivering on the promise of accurate and trusted business information. Policy driven information management to assure proper lifecycle management. Maybe you routinely collect, cleanse, mine, and monitor data for insights. Or select technologies for data storage, processing, and transportation. Perhaps you get requests for data and analyses that fuel all sorts of visualizations. Or you’re implementing big data governance structures. These all have one goal in common: Enabling quicker and better organizational decision-making that sparks collaborative and aligned action. This begs two questions: Why does a communication chasm exist between those who do this work and those who need to solve pressing business problems and implement the solutions? And how do emotion and intuition reside harmoniously with data? This keynote presents a model and how-to framework for closing these gaps. Illustrate the relationship between data, insight, intuition, and action. Identify three different kinds of insight that can emerge from data. Demonstrate why story is the narrative vehicle for decision making and action. We have all seen sales forecasts where next year’s number are projected down to the last penny. Many of our efforts in Business Intelligence suffer in a similar way from false precision. In today’s workplace, these old certainties are wearing away. With the growth of Artificial Intelligence, Machine Learning and Predictive Analytics, we need to become much more comfortable with the language of probability and inference. In this Keynote, Donald Farmer will explore how business users can become more comfortable with ambiguous information. We’ll see how new styles of visualization and reporting can help to make predictive analytics more actionable. And we’ll look at decision making styles and organizational patterns that are more appropriate for this more complex world. Human existence has continuously sought to find information, use and preserve it for posterity. Information preservation is, therefore, one of the most important tasks of communities and organizations. Information is now more correlated than ever and found in large quantities known as ‘big data’; it is pervasive, difficult to capture, store or analyze. In this Keynote, the International Criminal Court (ICC), a judicial organization that has the preservation of its information as a critical aspect of its judicial obligation, is discussed. Born in the digital age, the Court has adopted an eCourt strategy covering all aspects of its operations to end impunity in the world. And to solve the accountability challenge its functions are redefined towards digital information orchestration and less towards traditional paper preservation. In this Keynote, therefore, a story is told in the form of three buttons and in it address ICC’s information management practices and tools. The act of preservation of elements of human existence does not only feed to aesthetic functions but also to the fulfilment of accountability needs of the society. In this digital culture of ‘data everywhere,’ the demand for accountability is high necessitating a redefinition of information management practices. This is, therefore, a story of how information management practitioners in the ICC are redefining their relevance and value while helping the organisation end impunity. Ajay Khanna is the vice president, Marketing at Reltio, the creator of data-driven applications. His product marketing and product management expertise stems from various leadership roles at large public enterprise software companies including Veeva Systems, Oracle, KANA, Progress, and Amdocs. He holds an MBA in marketing and finance from Santa Clara University. Luther Systems CEO, Hossein Kakavand has extensive experience in the technology space and financial enterprise services. He received his Ph.D from Stanford University in Information Systems and Statistics, and subsequently Stanford Business School. He was a fund manager at Soliton Capital, a quantitative hedge fund with focus on ETF trading. He has also been with Funding Circle, a leading Financial Technology peer to peer financing platform, where he was part of the team launching the capital markets group, where he was instrumental in developing and bringing to market the first ever Securitization of a portfolio of fixed income peer to peer (P2P) assets across Europe, and setting up an Exchange Traded P2P income fund currently traded on the London Stock Exchange, as well as the first European hedge fund leverage P2P loan investment program. Further, he also developed an end to end portfolio analytics and monitoring pipeline. He has also advised a number of financial and technology startups in Silicon Valley on both technical and strategic issues. Including, a VC backed early stage distributed computation platform focused on automation of analytical portfolio risk and optimization modelling. Also a hardware-software combination computation platform, and a VC backed big data analytics recommendation company. He is also on the Harvard Business School Angel investors of London selection committee. We all know that the role of data within organizations has changed? There was a time when enterprise data was deeply hidden in our data centers. It was very hard for business users to get access to it. Nowadays, data plays a key role in day-to-day operations. Without the right data at the right time and in the right form, businesses operations may grind to a halt. New software and hardware technologies have made it possible to exploit data in many more ways than before. This all sounds easy, but what are the consequences of this changing role? What does it mean for ourselves, the BI specialists? And will an extensive use of data clash with the GDPR? Are we still using the right technology? Do we have the right data architecture? We are still struggling with many of these and similar questions. All these questions and more will be debated during this panel. The terms Dig Data, Machine Learning and IOT are the buzzwords of the moment. There is much discussion on what they are and why it is different from other projects. Now welcome to the world of manufacturing. For ages, our machines have been generating huge amount of data, it’s only now that we have the capability and technology to cost effectively capture and process it. In pure statistical terms, the manufacturing world generates as much machine data as the social media. The question is what to do with it. Modern organizations are overwhelmingly becoming convinced that data can be successfully turned into better decision making that will directly result into higher profits and lower costs. At Lidl, we believe that data products are the key ingredient that can either automate or supplement business processes. Ability to give internal decision makers an opportunity to explore not only the landscape of their business with descriptive analytics but also to allow them to uncover hidden patterns and dig deeper using prescriptive analytics is becoming increasingly popular among different organizations. Needless to say that starting from scratch is a very difficult endeavour and often companies begin with simple ad-hoc analysis but fail to progress toward data products due to lack of talent and the ever-increasing technological complexities. Indeed, a data product is a piece of software that is able to consistently produce meaningful results, while ad-hoc analysis is usually a single and irreproducible dive into data with doubtful outcome. Lidl is a German global discount supermarket chain, that operates over 10,000 stores across Europe and the United States. In this session, Andrey will show you how to build a data product starting literally from pieces of ad-hoc research. He will demonstrate their experience in working with internal customers and the challenges that data science teams face. Since they are a young team of data engineers and data scientists, Andrey will share how they jump-started data product development at Lidl and show the key achievements as well as challenges that they came up against. In this talk, Andrey will illustrate how they tamed their Hadoop cluster, took advantage of the Hortonworks platform, wrote and deployed production code in R.
Data, Meet Regulations. How do you do? Peter Campbell has been working in data management for most of his career, spanning over 3 decades. He has worked in many different industries, primarily internationally, after relocating to Europe from Boston in the early 1990s, working at that time for Bachman Information Systems. Since 2012, he has been actively working on regulatory / compliance projects which will be presented in this session. He is also a Founding Member and Director of the BeLux (Belgium & Luxembourg) Chapter of DAMA (Data Management Association), and has been involved in the Brussels Data Science Community and the European Data Innovation Hub, and is a guest lecturer at local universities on data management topics. In recent years, regulations have increased significantly, both here in Europe as well as globally. Some of these were triggered by the global financial crisis of 2008, whilst others are driven by objectives of market transparency, safety, or considerations for privacy of personal data. In this session, several regulatory business cases will be presented, and, wherever possible, related to the need for improvements in data management, not only to support compliance, but to improve overall data management capabilities and effectiveness, in specific industries and across organisations. Regulation on the protection of natural persons with the regard to processing of personal data and on the free movement of such data; It also addresses the export of personal data outside the EU and EEA (European Economic Area). The GDPR aims primarily to give control to citizens and residents over their personal data and to simplify the regulatory environment for international business by unifying the regulation within the EU. There will also be discussions about some of the international standards organisations and specific standards, which often play important roles in these compliance projects; for example, this will include standards of the IEC (International Electrotechnical Commission), the ISO (International Standards Organisation), and also the W3C (World Wide Web Consortium). Wherever applicable, the DMBOK2 (Data Management Body Of Knowledge) will be discussed, and new data management services and improvements of this version of the DMBOK (released in 2017) will be highlighted, for the benefits this framework can bring, to facilitate regulatory / compliance projects, as well as well as to improve overall data management environments. In this ever changing environment of data it’s easy to focus on the last bit of tech kit you have persuaded procurement to purchase and/or the skills of the data scientist that you have just recruited – Do you go Data Lake or Data Warehouse. Let’s fire up an Hadoop Environment and sandbox away. But have you stepped back and thought about that gap between what we data folk talk about and the business folk understand? Bridging the gap between data people and business people. Why training the organisation and not just the data team is vital. If organisations want to be data driven all their people need to be data savvy. Today’s business landscape more dynamic than ever. New revenue models, stringent regulations, and high customer expectations are forcing organisations to evolve or face being overrun by more nimble competitors. CDOs and CIOs of established business are looking to digital transformation as a key initiative. But what exactly does digital transformation entail? At its core, any digital transformation requires clean and consistent data, reconciled across systems and channels. An enterprise-wide data management foundation that ensures real-time access to reliable data of all types at scale and is non-negotiable. Data access must be democratised across all groups and divisions so that teams can get a 360-degree view of customers, products, organisations and more. However, it’s not just about disconnected siloed analytics. It’s about the next generation of operational data-driven applications that allow frontline business users to gain relevant insight and intelligent recommended actions so they can achieve their goals. This session explores how some of the largest companies in the world are transforming themselves using the same modern data management technology used by Internet giants such as Amazon, Facebook, LinkedIn, and Google. Enterprise processes , within and between organizations, are fragmented due to focus on functions over processes, leading to duplication of effort, propagation of error, need for reconciliation of data across processes, which is costly and limits the streamlining of these processes and new potential applications. We talk about the sources of fragmentation, how Smart Contracts can address these limitations by providing railroads for enterprise process which sit along side enterprise systems not replace them, the benefits of smart contracts, the interplay between smart contracts and artificial intelligence. Sakari Jorma has almost 20 years of experience in Business development and Data & Information Management. He is currently leading Talenom (Nordics, Financial & Accounting Services Company) Digital Services business unit. Before Talenom, Sakari ramped up Software AG Information & MDM Management practice globally and developed the Go to market strategies for Software AG. He also spent more than 10 years leading Nokia Master Data Management globally, where he worked with a Product, a Customer, a Reference and a Supplier Master Data Management including Data Quality and Data governance. He has also extensive expertise within the CRM and the Product Life Cycle Management (PLM) by being the in lead of implementing and leading Services of global CRM and PDM principles. Sakari is board member of DAMA and received 2016 DAMA Excellence award from his work in leading and building a practical approach to data management. When a company’s EA and data management reaches to the level of maturity where it becomes an asset, how many companies monetize this? Customer activity data and consumer profiling are here to stay and yes, many do this, but how about truly creating value to existing customers and making more money to your company? How does one ramp up a new Digital business using BI? What is the roadmap? What has to be in plan before one can jump to the world of SAAS business with customer data? USE CASES – value creation to customer – why should I buy this? Talenom is the one of the largest accounting and financial services company in Nordics, which reported aggressive over 18% turnover increase Q1 2018 and continues to expand. The company is leading in the digital accounting and automation in the region, which has led to operating margin of 18%. Their story begins from “basics in place in IT” and understanding the data as an asset. From this, they went to customer value process and quick implementation of SAAS strategy. With customer value cases combined to data and tools, the creation of BI business was obvious. Talenom set up a Business Technologies business unit, which combines the IT, Automation, Integration, customer support and Up and cross sales functions, led by CDO. Digital business is not IT or Head of BI job – it’s a job for the CDO! This is a true opportunity for the future BI and Chief Data officers. Mike Simons is a highly experienced technology journalist, working as Associate Editor for CIO.co.uk , ComputerworldUK.com and Techworld. He is regularly called on to judge industry awards, including, recently, the SAP Quality Awards also working as a film producer. He was News Editor at ComputerWeekly.com and of a combined Computer Weekly and ComputerWeekly.com before joining IDG as Launch Editor of ComputerworldUK and subsequently taking over responsibility of Techworld as well. Gary is Head of UK Data Intelligence Sales at ASG. Gary has over 20 years’ experience in both manufacturing and service industries. Prior to his move into sales, Gary was a senior business consultant working with clients in the Pharmaceutical and Finance Sectors, on business transformation and regulatory compliance. Cathy is Senior Manager, Data Governance at Comparethemarket.com. Heading up a rapidly growing team, central to business operation, Cathy is responsible for maturing the Data Governance framework within the business, embedding it into everyday business activities and focusing on the core areas of Data Security, Data Privacy, Data Quality and Data operations. Compare the Market is a leading price comparison site that makes getting it done, simples. Working with an ever-expanding panel of partners they help customers save money across a diverse range of products, from car and home insurance; to energy; to personal finances, such as credit cards and loans. And that’s not all, they also reward customers for buying through them with a whole year of Meerkat Meals and Meerkat Movies, giving customers 2 for 1 on food and film for a year! Having worked in data for almost 20 years Cathy has been involved in some pretty amazing data projects spanning the globe. Everything from review and migration of new business acquisitions into existing systems and processes in Switzerland, to the complete overhaul of the entire MARTECH stack in Washington and Australia to more recently the Change Management Programme across a collection of 30 brands in London based publisher to deliver compliance with new GDPR regulations – systems, processes, people and governance! We are living in the new world of GDPR, with most organisations proudly announcing that from 25 May they have been compliant with the new privacy regime. Behind these announcements, however, is a deep concern about whether the effort that went in to achieving compliance is sustainable and how to demonstrate and deliver long-term business benefits from your compliance efforts. GDPR is not a one-off test that an organisation passes or fails, it has to be embedded into the enterprise and its day-to-day practices. Krystyna Kurinna have got a PhD in mathematics from Doneck University (Ukraine) and has many years of experience is business intelligence environments. She is responsible for Data Assess Services & Solutions team at Scout24 AG. Vision of her team is, that every business user is provided with best services and solutions to create sustainable and scalable analysis. Scout24 is the biggest German platform for those who search for real estate, cars and financial planning information and those who offers it. “It’s not enough to do your best; you must know what to do and then do your best”. Ethics are big news in the headlines recently. Whether we’re looking at remarkable failures in ethics the ethical implications in Big Data processing or self-driving cars, it’s becoming more and more clear that we need to get this right. The challenge arises in moving from abstract discussion to practical application. This session uses Deming’s view of quality as a starting point to understand and implement ethics in Information Management. You’re already doing “ethics” whether you explicitly consider it or not. The question is whether it is a “best efforts” production without the clear guidance of principles. Have you taken the time to consider what it is you’re doing? Is your organization’s leadership setting the tone from the top? Do you have appropriate systems of management in place to support ethical decisions and actions? The Environment Agency generates, collects and processes large quantities of complex data to support its mission to improve the environment of England. To enhance its management of this data it has embarked on a major programme to develop and enforce clear data definitions and data standards, driven in part by the UK Government’s Open Data agenda which makes much of the Environment Agency’s data available for public use and scrutiny. Jonathan is a highly experienced transformational data leader with broad experience of building new organisation capability and establishing high performing agile data teams across a variety of industries. As evangelist at HARBR his role is to champion agile data, to help organisations with the cultural changes needed to drive long term effective value from data as a asset. Today the challenge is not how much data you have, it’s how much data you can use effectively – making better decisions quicker. A solitary data source is rarely sufficient for analytics or decision-making. Yet within organisations the combination of legacy & non-integrated systems, cloud offerings and spreadsheets become bewildering. Add the complexities of external data and the challenges become truly daunting. Where analysts can collaborate in an ecosystem where data is acquired and profiled once they can debate and iterate analysis as quickly as possible and establish a single version of truth for others to trust in decision making. Serendipitous discoveries are far more likely, conversations spark curiosity and it is easier for analysis to truly drive innovation – data can become a true catalyst for collaboration. Alfredo is VP Strategic Planning of Cerveceria Regional. For the last four years, he has led the undergoing transformation of Cerveceria Regional to a data centred organization. During this period, Alfredo has gradually become more involved in managerial and technical aspects of business intelligence and data science. Alfredo is an executive with more than 30 years of experience in the areas of corporate finance, capital markets, financial planning, strategic planning and business intelligence acquired in companies in the investment banking, beverage, mining and management consulting sectors. He has a vast experience in financial modelling, business analysis, and business planning, developed mainly in Venezuela, but with assignments in the United States and several countries in Europe and Latin America. Alfredo holds a Computer Engineer degree (Caracas 1980) and an MBA (London 1999). Cerveceria Regional is the second largest Venezuelan brewery, holding a 14% share of the beer market. Since 2016 the company set the strategic goal to become a data centred organisation. What started in 2014 as a traditional BI project based on Data Warehouse technology, rapidly evolved to become a massive initiative, leveraging on self-service analytics. Becoming data-driven impacted the required tools, the organisation and the company’s culture. Cerveceria Regional’s data architecture is based on SAP-ERP and its Data Warehouse run on SAP-BW 7.4. In 2015 the company adopted Tableau as graphical analysis and data visualization tool. No Big Data technologies has yet been adopted. Naser Ali is the Head of Solution Marketing for what was Pentaho and now the Analytics and IoT Division of Hitachi Vantara. Naser joined Pentaho after twenty years working for big data, cloud, middleware, data centre management, storage and power management companies where he handled marketing and strategic planning. Prior to that, Naser was a research engineer for GE Lighting. Naser has an honours degree in Electronic Engineering from the University of York, a master’s degree in Optoelectronics from the University of Strathclyde, a professional postgraduate diploma from the Chartered Institute of Marketing, and is a member of the Institute of Electrical Engineers. He is based in London, where he lives with his wife and two children. In this session, Naser Ali shares his experience working in the IoT and AI space; covering complexities, pitfalls, and opportunities to explain why innovation isn’t just good for business — it’s a societal imperative. Felix Streichert is the Chief Data Manager in manufacturing for the Bosch Group which is a leading global supplier of technology and services. Originally a machine learning researcher he worked for several years on intelligent solutions and customer projects for mobility systems at Bosch. Originating from his work on the artificial intelligence initiative at Bosch he specialized some years ago on data governance and management for I4.0 and IoT activities in manufacturing establishing and coordinating several data governance teams in different business sectors at Bosch. There is a new kid on the data block: the data marketplace. In a data marketplace business users shop for the right data products. Examples of data products are predefined KPI’s, reports, files, and data services. The data marketplace is a supply-driven architecture in which data products are developed before the business requests them. This is very similar to how most shops operate: products are researched and developed before there is any guarantee that they will be bought. One of the key goals of the data marketplace is to let organizations benefit more from the investment they have made in data over the years. In this Keynote, Rick explains how an enterprise data marketplace differs from a data warehouse and a data lake. Additionally, the challenges of developing and maintaining a data marketplace are discussed. Because it’s another data delivery system developed to supply business users with the right information at the right time, some incorrectly think it’s the old data warehouse, but with a twist. Rick will address this common misunderstanding, in general the data marketplace extends the capabilities of existing data delivery systems, such as data warehouses, data marts and data lakes. Big data governance is not just about making sure that you efficiently use your Hadoop cluster or assuring that you work on the relevant use cases. With the democratization of big data capabilities and the wider access to data, questions arise on the regulatory and ethical compliance of the data usage. Locking all data down is not the answer as we would lose too much value. This presentation focuses on the steps you need to take to get sustainable and compliant value out of your big data. Andy Bitterer is SAP chief analytics evangelist EMEA, based in Hamburg, Germany. He brings both corporate and industry analyst experience, joining from SAS where he was senior director for the BI product line. Prior to that, he was an IT research analys and consulted with clients as VP and research fellow at CXP/BARC and, as a research VP at Gartner, authored Magic Quadrants, Hype Cycles, and Predicts and spoke at many conferences worldwide. He also spent 15 years with IBM in various management, consulting and technical roles. Andy has authored numerous books, and he’s an accomplished pianist and award-winning photographer. Digital business is about intelligently connecting people, things and businesses. It’s an infinite world of new possibilities for companies to reimagine their business models, the way they work, and how they compete. New technologies like machine learning, the Internet of everything, blockchain, or cloud, etc will transform value chains to enable completely new ways of doing business and our way of life. Hear how leading organizations deliver an innovative customer experience, leveraging the latest technologies, and based on the creative use of a wide variety of information assets. Is your Company Ready for Self-Service BI? With over 30 years of experience in various data warehouse and data governance programs across multiple industries, Ivan Schotsmans serves as Data Coordinator in a Agricultural, one of the largest in Western Europe. After two decades working on international data warehousing programs as developer, analyst and project manager, Ivan evolved to a data governance role. In this role he is responsible for the strategy and architect of several data migration programs. Ivan is pioneer in turning business intelligence environments into agile projects. Recently he concepts into big data initiatives. Ivan is (co-) founder and member of several global organizations (TDWI Benelux Chapter, DAMA, IAIDQ,) and international conferences. Do we all need to be data scientists? Which architecture do we put in place? How do we handle data governance? How do we guarantee security? Did we foresee the necessary change management? The proliferation of Internet of Things (IoT) devices and the corresponding surge in volume of data streams has created a need for processing and analysing data closer to where it is generated: at the edge of the network. In a similar fashion, Machine Learning models are coming to the browser rather than data being sent to a server. A number of powerful tools have become available recently that make this approach now very accessible: the development of sophisticated applications that make efficient use of the user’s hardware capacity and even allow model training on client side is now possible for everyone. This session introduces some recent trends and highlights some free, state-of-the-art tools that can get you started. A demo illustrates a simple implementation. Majken Sander is a data nerd, business analyst and solution architect. She is well-known in the industry circles as an influential industry executive, international speaker, and accomplished data expert. Majken has worked in IT, management information, analytics, business intelligence, and data warehousing for more than 20 years. As a tech evangelist Majken often writes on topics like Data Warehouse Architecture & Automation, BI and Analytics, Business value in data and decision support. This session takes delegates through real-life cases: The story from a canteen on how to save money and help the environment; another about automatically meeting relocation based on sensors and algorithms. Also included is a retail store turning down an idea to saving money, because customers expect otherwise, proving that sometimes the smartness of IoT is outsmarted by end users and company optimisation parameters. Petteri Vainikka is CMO at Ardoq, and is a frequent speaker at industry events globally. Petteri has an MSc in technology from Aalto University in Helsinki, a degree in higher education pedagogics, and a PhD currently on hold. Throughout his 15+ year professional career spanning mobile, internet, data, and enterprise SaaS technologies, he has always found himself at the intersection of emerging technology and its hands-on commercial application. His most recent 7 years having been at the forefront of Data Management Platform (DMP) evolution from a buzzword to globally recognized billion dollar enterprise SaaS market. He is driven by genuine passion to help customers understand and succeed within rapidly changing ecosystems, catalyzed by new technology. Petteri’s past work experience ranges across entrepreneur, business development, product management, academic, and general management roles at Sumea, Digital Chocolate, Rovio (Founder and Head of Sales and Marketing), Aalto University, Leiki, Enreach (CMO), and most recently Cxense ASA (CXENSE:Oslo), where he served as SVP Product Management. Petteri has a proven track record of launching and scaling new technology companies internationally, whilst at all times remaining customer experience obsessed in doing so. What is the common ‘thing’ across BI, EA, Enterprise data (MDM), and eGRC professionals, each operating within their own department? They all rely on data. They all rely on largely the same data in fact. Data on how people, business processes and outcomes, applications and their hosting environments, and data schema are interconnected in an ever more complex ecosystem. Disruptive change to break down these silos and to become truly data-driven around one graph data truth about the enterprise — not many different and overlapping truths across disparate silos — is already taking place. Enter the Digital Twin of an Organization (DTO). Learn how a DTO supports the discovery of cost optimization opportunities that deliver most value and that do not negatively impact other entities in the organization, visualize the interdependence between functions, processes and key performance indicators to drive value, and more. DTO is to enterprise data governance what search was to internet. W. T. Bush is a business consultant with 27 years of experience in delivering positive business outcomes. For the last 17 years, he has focused on engaging business leaders in taking ownership of their data and actively engage in the outcomes of transformation programs. Mr. Bush has delivered data solutions for some of the largest enterprises on the planet including PepsiCo Europe, British American Tobacco, Pfizer, Israel Chemicals and many more pharmaceutical, FMCG, CPG and retail clients. As a stepping stone for BI and Analytics, it is essential that data is set up and managed efficiently. The key to getting value of data during either a transformation project or just BAU is to get the business to engage and drive outcomes. W T Bush is an author of business-focused books geared to do just that….putting technical activities into business language. Armed with these tools, any business can engage confidently with a Strategic Integrator to ensure that this most precious asset, Data, is given the energy and structure required to make it fully utilised. A key principal in the migration, maintenance and archival of enterprise data is security. The approach to security and the integration of this method with the other steams of data activities (Data Migrations, Data Cleansing and ongoing Data Management) completes the necessary processes and procedures in effective Enterprise Data Management. This discussion is less about the technical elements of implementing security, and more about the enterprise view of how to treat different types of data within the enterprise so that the technical solutions can be applied. The building blocks of BI rests on the raw data of an organisation. The more aligned this data (column alignment), the easier it is to analyse and report on. A business view of data is often in more general terms: Master Data (Customers, Vendors, Assets, etc. ), Transactional Data (Sales, Purchases, Use of Service, etc. ), Reference Data (Organisational, Drop Downs, etc.) and unstructured data (email, social media, etc.). The more characteristics (attributes) these data objects contain, the more analysis can be performed. Cataloguing the data in an organisation ultimately translates into a matrix of categories and owners that we apply technical security to. Business engagement in the process of reviewing and accepting responsibility for data at the attribute level will support a solid platform for applying security that can be demonstrated to internal and regulatory auditors. Hylke Peek is a consultant in data solutions and is a specialist in Business Intelligence and Analytics. He has consulted for a wide variety of companies on enterprise business intelligence, Big Data processing and Analytics, Machine Learning, both on-premise and cloud. Hylke has spoken on multiple events and IT-channels to share his experience in the field. He loves working with data and sharing his experience with other data-minded individuals and organisations. Follow Hylke on Twitter: @hylkepeek. Hylke Peek, Consultant BI and Data Analytics, VX Company. Let the data speak for itself? The data needs some help with this. The visualizing process is getting more complex. There are many tools, different visuals for the same goal and a diverse audience. If you want to communicate effectively using visualizations, you need to know your audience, understand the context and think like a designer. We know all the cheat sheets for the best visualizations and how to use colours. In this session, we’ll go further. A report is more than a collection of individual – well formatted – visuals. It’s a story you want to tell. Actually, it’s a story you want the data to tell. Sarah Whittle is Data Manager for LiveWest, a large housing association based in South West England where she is responsible for implementing data governance & data quality frameworks and changing culture towards data. She started her early career in accountancy and since 1992 started work for a housing association in the finance department. She has always had an interest in data and led the association’s data migration & implementation of new financial and housing management systems. Prior to moving to LiveWest she worked for HouseMark for 12 years, the sector’s leading provider of benchmarking and performance improvement services where she further developed her knowledge on data quality and validation techniques. Formed from the recent merger of Knightstone and Devon & Cornwall Housing, LiveWest is embarking on a journey of transformation to become a housing association of the future – an organisation that puts data at the heart of everything it does, from managing its stock as efficiently as possible to delivering the very best service to its tenants. Developing a strategic approach to data within a very traditional sector, coupled with the added complexity of bringing together two organisations with differing cultures, processes and data landscapes, would present a number of challenges. In 2005, Gartner reported that about 50% of data warehousing projects fail. In 2011, they stated that between 70% and 80% of Business Intelligence projects fail. Online publications estimate a big data project failure rate at up to 85%. Despite all of this, business functions still need an enterprise view of business data. The high cost and effort of moving and integrating data from a wide variety of data sources seems to be a key contributor to these failures both due to cost and lack of agility. Lena Woolf is an IBM Senior Technical Staff Member with IBM Watson Knowledge Catalog team. She helps businesses to transform and improve their data science and analytics life-cycle processes by leveraging Watson Data and AI software. Prior to joining Watson organization, Lena provided architectural direction to Master Data Management team. Lena regularly speaks at professional conferences. As an inventor, she contributed to many patents and constantly pushes the boundaries of what’s possible with IBM technology. She demonstrated history of effectively transforming customer challenges and business requirements into enterprise grade software. Why are enterprises struggling to capture the value of AI? AI is not magic- it requires teamwork. AI is algorithms + data + team. But data resides in silos & difficult to access. If the data isn’t secure, self-service isn’t a reality. Enterprises need an environment that enables a “fail fast” approach and provides governed access to data. They also need to provide data scientists, application developers and subject matter experts with set of tools to collaboratively and easily work with data and use that data to build, train and deploy models at scale. In this session we will outline best practices for setting up end-to-end AI workflow and enablement team productivity and collaboration. – what can AI do for my business? – how do I infuse AI into business to drive innovation? – I hired a team of data scientists – what’s next? – how can our data scientists gain access to right data? Marco is an expert in the fact oriented modeling community, Marco Wobben has been consulting and contributing to IT projects for nearly 30 years. He is active in a wide range of industries, such as medical, banking, logistics, tourism, manufacturing, and governmental. Data modellers interview business experts, study piles of requirements, talk extensively, and then, hocus pocus, present a diagram with boxes, crows feet, arrows, etc…. Such data models can be quite abstract, misunderstood, and perceived unnecessary. Fact oriented modelling is the very opposite of abstract, using natural language to express facts that are intelligible to both business and IT. It does not require an understanding of the magical language of boxes and arrows. Although fact oriented models can be presented in several diagramming notations, the information can always be expressed in natural language. This gives data modellers, technically skilled people, and business people the benefit of having a fully documented, and easily validated model. Information Management is at a tipping point. The tools and technologies we have developed have great potential, but bring with them great risks. This is increasingly recognised by industry leaders, front-line workers, legislators, and Regulators. In this keynote, you will get a whistle-stop tour through how we got here, why it matters, what it means, and what we can do to ensure that how we manage and use information in the 21st century is trusted and trustworthy, and what lessons we need to learn from the past. You are convinced that data can bring value to your organisation and your company might have already started the data journey. In reality many of the data lake and big data initiatives fail because there is more to it than just putting large quantities of data in a data lake. This workshop will cover the key challenges that organisations faces when embarking on the data journey. You will understand what is required for data based value creation and know how to put the relevant building blocks in place to assure that your organisation interacts with the data in the most effective and efficient way.. Combining risk, privacy, security and value creation separately is the way that leads to proper management of the data. You will also learn how to maximise the use of the data by capturing the usage constraints of the data as early as possible. Learn how to engage your business and have them take the lead and recognise the value of information. Select the proper Enterprise Information platform to support your information strategy. Big data, analytical database servers, Hadoop, NoSQL, Spark, MapReduce, SQL-on-Hadoop, translytical databases, and appliances are all immensely popular terms in the IT industry today. Due to this avalanche of new developments, it’s becoming harder and harder for organizations to select the right tools. Which technologies are relevant? Are they mature? What are their use cases? Are they worthy replacements for the more traditional SQL products? How should they be incorporated in the existing data warehouse architecture?” These are all valid but difficult to answer questions. This full-day workshop discusses and explains these new data storage technologies clearly and explains why and how they can be relevant for any organization. Market overviews are presented, strengths and weaknesses are discussed, and guidelines and best practices are discussed. It is intended for anyone who has to stay up to date and implement the new developments, including data warehouse designers, business intelligence experts, database specialists, database experts, consultants, and technology planners. Why are traditional database technology not “big” enough? How different are Hadoop and NoSQL are from traditional technology? How can new and existing technologies such as Hadoop, NoSQL, and NewSQL help develop BI and big data systems? For many years companies have been building data warehouses and data marts supplied by data extracted from traditional on-line transaction processing systems using batch-oriented ETL processing. However over recent years, as the speed of business quickens, we have seen a huge growth in demand for so called ‘fast data’ (also known as streaming data) to be brought into the enterprise for analysis. There are many popular sources of fast data including telemetry in business operations where organisations have often been blind to problems in the past. Also, Internet of Things (IoT) data from smart consumer products and smart industrial equipment. Live clickstream recording on-line behavior as people surf your website is yet another example, as is data generated from pixels and tags embedded in digital marketing. Others include markets data and social media data. All of this is relatively new in the world of analytics. The benefit of analyzing fast data are obvious. It allows organisations to go beyond traditional BI and start analyzing ‘in-flight data’ in real-time before it is stored anywhere. This allows organisations to optimize their business operations, avoid unplanned operational cost, mitigate risk and see opportunities early so that they can become early movers in real-time markets. However, there are issues with this kind of data. It can be huge in volume. It never stops! Schema can change and new schema can appear without notice. Data can be missing, arrive out of sequence or arrive in huge bursts. Also, how do you process it? How do you analyse it? What kinds of analyses are relevant with this kind of data? What technologies do you need? Where do you analyse it? Should it be done at scale in the data centre or in the cloud? Why not at the edge, closer to where the data is being generated? With so much data being generated and much more to come, would pushing analytics into the network not scale better than streaming analytics at the centre? If so what problems does that bring? Also, what about decision management? How do you automate decisions? Can machine learning help? And how do you integrate all this with traditional BI environments? How do you process fast data and integrate it with enterprise data? Why is master data important in fast data analytics? Model deployment – central execution, edge analytics or both? Architecture – how should it change to integrate fast data with existing analytical systems such as data warehouses and data marts? How to integrate fast data with traditional BI tools? BearingPoint is an independent consulting firm with European roots and global reach. We transform businesses We are committed consultants with adaptive intelligence. We know that the world changes constantly, so we offer real, tailored solutions for complex business environments. Our value proposition We help our clients realise their goals by applying our deep industry and functional expertise to understand and address their specific needs. Our consultants are passionate and highly engaged with a pragmatic yet innovative mindset. Our culture Passion drives everything we do. We live by our values: • Commitment to our clients and our people. • Excellence in all our work. • Teaming to achieve greater results. Stewardship is at our core. We strive to develop our people and build a firm that will remain strong for future generations. Our distinction As Business Consultants, we help clients make transformation real by delivering measurable and sustainable results: • We listen, understand and adapt to our clients’ needs • We help our clients implement strategies through operational focus • We combine management and technology capabilities to achieve the full value potential • We are independent advisors • We work closely with our clients and help them to embrace change • With passion for excellence we serve clients globally To get there. Together. Comma was formed with a very clear vision; to deliver a truly standout approach to data and information management. We remain focused on business outcomes and delivering value to our clients. Our mission is to be recognised globally as the leading consultancy exclusively focused on data and information excellence. By remaining concentrated on PIM, MDM and supporting services, it allows us to excel in this area and provide a service that puts our clients’ needs first and delivers truly outstanding results. The mission of the Netherlands Architecture Forum (NAF) is to promote and professionalise the use of architecture in the world of business and IT. Since its foundation in 2002, the NAF has created a network of over 70 Dutch user organisations, vendors and knowledge institutes. It offers its members opportunities for networking with fellow architects, exposure through publications, and knowledge exchange in its working groups. NAF working groups bring together professionals on such diverse topics as architecture principles, Web 2.0 architecture, Cloud & SaaS, TOGAF, IT governance, and many more. Furthermore, NAF is organiser of the NAF Insight seminars and co-responsible for the yearly Dutch national architecture congress (LAC).